In his new book, Lawrence Levy details his wild ride with Pixar owner Steve Jobs to the release of 'Toy Story' and a dazzling IPO. One day in late 1994, Steve Jobs called Lawrence Levy, finance chief of a company called Electronics for Imaging, to inquire whether he’d be interested in taking the CFO post at Pixar Animation Studios, which Jobs owned. The call had come out of the blue, but sure, Levy was interested in hearing about the opportunity. In the coming weeks, however, as he learned more and more about Pixar, he grew more than a little skeptical. 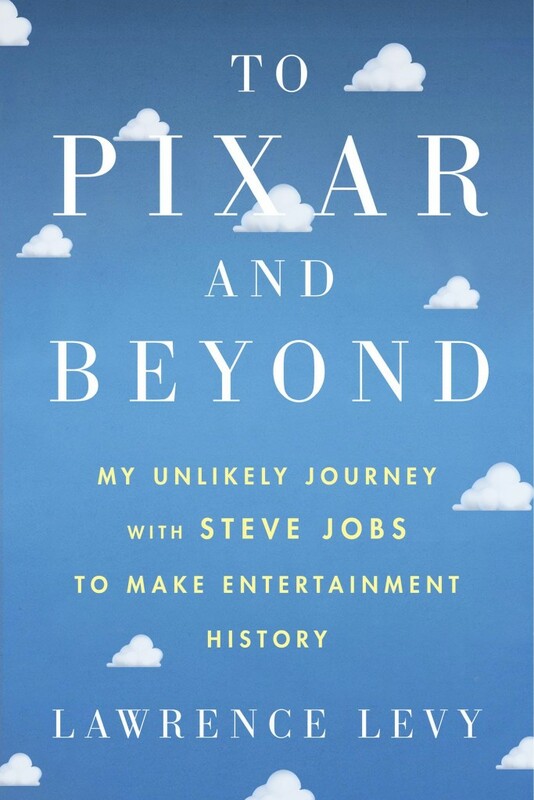 But, as described in Levy’s new book, “To Pixar and Beyond: My Unlikely Journey with Steve Jobs to Make Entertainment History,” he was surprised to immediately hit it off with Jobs. Also, he was blown away, during a tour of Pixar’s facilities, by the graphical artistry displayed by those working to create the world’s first computer-animated feature film, “Toy Story”; by a company culture that highly valued such creativity and allowed it to flourish; and by the intelligence of the company’s executives. Levy became intrigued by the prospect of becoming involved in the entertainment industry. He sought advice from the recently retired CEO of Electronics for Imaging, who encouraged him to go for it. So he took the job, despite continuing misgivings. The book, scheduled for release on Nov. 1 by Houghton Mifflin Harcourt, is a spellbinding, behind-the-curtains account of how Pixar overcame a vast assortment of weighty challenges that threatened its viability as a going concern. Almost as soon as he came aboard, Levy saw that the dire straits Pixar faced were actually much worse than he’d thought up to that point — even as Jobs, eight years after being fired from Apple Computer and without a business success since then, was pushing for an expeditious initial public offering. As Levy investigated Pixar’s various revenue streams, he quickly saw that there wasn’t much there that would attract investors. The biggest revenue generator was a high-quality graphical imaging software product, RenderMan, aimed at special effects houses, ad agencies, and production and film studios. The technology was great, but the demand for it was modest, and raising the price wouldn’t work because of competing software that was inferior but much cheaper. The same proved to be true for Pixar’s computer-animated commercials: the business was tiny, the profits almost nonexistent, and there was little hope for growth. Pixar also produced animated short films, but they had no commercial value at all. With “Toy Story” still months from release — and its financial prospects unknown — Levy and Jobs scored some much-needed emergency cash by striking licensing deals with Microsoft and Silicon Graphics, two deep-pocketed companies that Pixar believed had been violating its RenderMan patents. Pixar could have sued them, but Levy thought the best financial result would come from the licensing deals. After some tense conversations between Jobs and Levy about pricing those deals, they ultimately brought in more than $13 million. It was becoming clear to Levy that Pixar’s only hope for a successful IPO lay in positioning the company strictly as a maker of computer-animated feature films. But there were some big problems with that. For one, Pixar was hamstrung by an onerous distribution agreement it had signed with Walt Disney, a complicated deal under which Disney would pay production costs for three films — each of which would take years to produce — but probably would pocket at least 90% of the film’s profits. The contract also gave Disney the right to approve or reject Pixar’s film ideas and prohibited Pixar from pitching rejected ideas to any other distributor. Further, Pixar was prohibited from submitting film ideas directly to other distributors. Levy, aghast, was informed by Pixar’s Hollywood attorney that such provisions were standard in the entertainment business for “unproven talent,” a descriptor that applied to Pixar because computer-animated filmmaking was a new field and Pixar hadn’t yet completed a film. Indeed, there wasn’t even a model available for projecting the revenue of computer-animated films. Levy figured he could start with existing models for other kinds of films and adapt them to computer animation. But he discovered that those in possession of such models held them very close to the vest. Disney had a model for the traditional type of animated films that it produced, and Pixar’s Hollywood law firm had a model for live action films. But, despite the business relationships among the parties, both Disney and the law firm were extremely reluctant to share their models with Pixar. Disney’s stance on that never wavered, although the company did agree to share some data from its model. The law firm, after much cajoling from Levy, agreed to let Pixar see its model in exchange for Pixar’s agreement to share the computer animation model that it would develop. That still left a lot of uncertainty on the table. Pixar established four pillars for its future success. First, it had to negotiate a new distribution deal that quadrupled its share of the profits, which meant Pixar would have to take over the financing for its film productions. Second, it had to release films more often than the four years it had taken to produce “Toy Story,” which would require an expansion of staff and facilities. Third, the company had to raise at least $75 million to cover the new costs and fund growth, and an IPO was the only practical way to do that. Finally, Pixar had to build itself into a worldwide brand. That also required negotiation, because under the existing distribution agreement the films were to be Disney-branded. The IPO was fraught with more challenges, particularly in the selection of investment bankers. Jobs wanted either Goldman Sachs or Morgan Stanley on board, but both decided the risks were too great. Pixar ended up settling with a trio of boutique investment banks to sell the deal to investors. Two numbers, Levy explained in his book, would largely determine Pixar’s future: the opening-weekend box-office take for “Toy Story” and the IPO share price. Jobs was hoping for an opening box office of $15 million to $20 million, which would translate to a total domestic box office of more than $100 million. Levy thought that was a stretch, given that only four animated films had ever reached those levels, and that an opening box of $8 million to $10 million was more realistic. The prospectus for the IPO, meanwhile, put forth a price range of $12 to $14 per share. The IPO came a week later. The investment banks placed 6 million shares with investors at $22 a share, and the price immediately leaped. By the end of the first trading day, the stock was at $39, giving Pixar a market value of almost $1.5 billion. It was the hottest IPO of the year. Despite long-promised stock options that Levy had earlier persuaded a reluctant Jobs to finally grant to Pixar employees, Jobs had retained enough shares that he was now a billionaire. The focus turned to negotiating a new deal with Disney. Trying to reach an agreement under which Pixar would assume production costs for the films in exchange for 50% of the profits and 50% of the brand credit proved immensely frustrating. Disney boss Michael Eisner dragged his feet, not wanting to give up his company’s brand supremacy to help Pixar develop into a company that could eventually threaten Disney. At one point Pixar decided to walk away from the new deal, ride out the existing one, and then start out fresh a few years later. Jobs and Levy were surprised when Eisner suddenly offered to give Pixar the deal it wanted in exchange for rights to purchase Pixar stock. That did the trick. “Of all the deals I ever completed, I don’t think I ever felt more elated,” Levy wrote. The postscript to the story, of course, is that Disney ended up acquiring Pixar in 2006 for $7.4 billion, whereupon Jobs, by then nine years into his second adventure at the helm of Apple, became Disney’s largest shareholder and a member of its board. 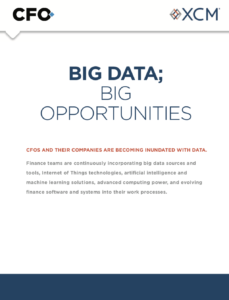 Why, CFO asks Levy, did he decide to write this book so many years after the fact? “I gave talks quite a number of times over the years where I told the story of Pixar, and it always a hit — audiences loved it,” he says. “It was a surprising story, and they didn’t know it.” Still, he wasn’t yet inspired enough to start writing. What really got Levy’s attention was that after Jobs’ death in 2011, the ensuing massive coverage of his life in articles, books, documentaries, and feature films made it appear that Pixar was little more than an after-thought for Jobs — if even that. 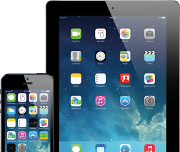 The stories typically focused on his pair of stints at Apple and little else. 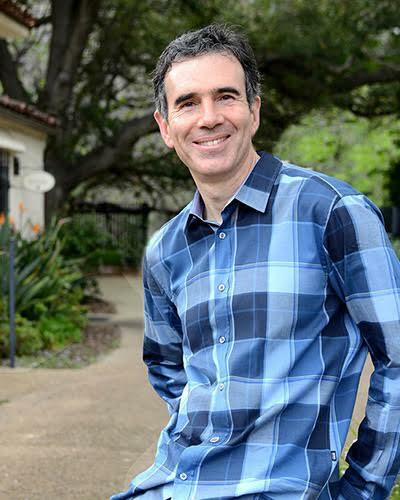 Levy left his CFO post at Pixar at the end of 1999, although he stayed on the company’s board until the acquisition by Disney seven years later. After a period of reading books on philosophy and deep inner searching, Levy became focused on the Buddhist concept of “The Middle Way.” It’s essentially about finding harmony between the need to function in order to do things like wake up on time, pay bills, and earn good grades, and the desire to be a free spirit who cares about joy, love, adventure, spontaneity, and creativity. After years of study under a teacher, a Buddhist monk, in 2009 Levy together with his wife, the monk, and two others launched the Juniper Foundation, a clinic where ancient meditation techniques are taught in a form suitable for contemporary meditators. Levy says he has come to realize that there are great lessons for companies in The Middle Way, and that the creative culture at Pixar was a sort of embodiment of the philosophy.